$65 for each additional hour. Tour Time: Go When you Want to GO! Go Where You Want to Go, When You Want to Go! This Private Van tour offers you the chance to GO WHERE YOU WANT TO GO within LA and Orange County. You can create your own private van tour in Los Angeles to see the sights you want to see, and of course...Go WHEN You Want to Go! 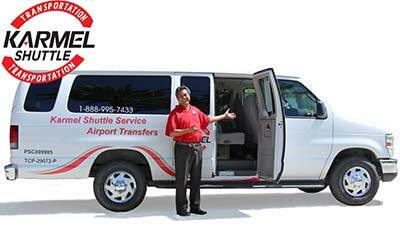 5 hour Private Van Charters are available with Karmel Shuttle in Los Angeles and Orange County only. Want more than 5 hours...no problem! Additional hours are available! Only $65 for each additional tour hour. A driver will take you wherever you want to go. See the sights of LA, Hollywood, Beaches and more! A private Van charter is the perfect way to see Los Angeles with you and your family, a group of friends or some co-workers. Don't worry about having to follow a schedule or other tourists around. You can go anywhere in Los Angeles and Orange County, but, here are some popular site seeing options to make it EZ! Option 1: Griffith Park Observatory, Hollywood Sign, Sunset Strip & Hollywood Walk of Fame. Option 3: Rodeo Drive Beverly Hills, Santa Monica Pier & Venice Beach! Option 5: Shopping at any stores of your choice. Costco, Walmart, Hollywood and Highland, The Grove LA, 3rd street Promenade and more. The choice is yours to make! Tours available in LA and Orange County ONLY! Up to 9 people...same rate! Tour is NOT driver Narrated. Driver takes you to locations you want to see. Stay at one location as long as you want or move on to the next location...it's up to you to "GO WHERE YOU WANT TO GO! Cancellation Policy is 48 hours in advance. Within 48 hours full charge will apply.